Start taking classes at DEFINE: Bellaire and other studios! Define Your Balance with one of Houston's most transformative and reenergizing workout studios. 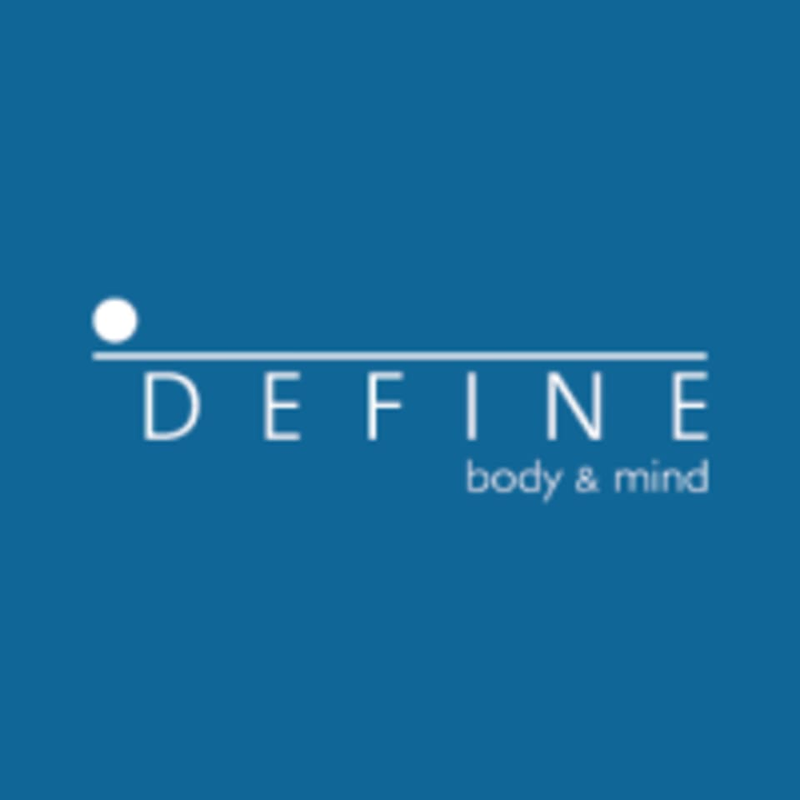 DEFINE offers products and services that are specifically designed to help each client look and feel their best. Come experience their signature classes, DEFINEbody, DEFINEmind and DEFINErevolution to strengthen and lengthen the entire body. Get started on your journey, and enroll in one of their classes today. We provide the mats and equipment, as well as lockers. We require personal items to remain in lockers and not taken into classrooms. Socks are required for body and hammock and available for purchase. Cycle shoes are $3/rental. Tennis shoes required for bounce. Yoga pants, cropped pants, tanks and shirts are all acceptable for body, mind and, yoga classes. Please keep your tops (shirts or tanks) on throughout the class. First timers arrive 15 minutes before class. DEFINE: Bellaire is located at 6700 Ferris Street, near the corner of Cedar Street. Class participants must arrive at least a few minutes before class begins or they will not be allowed into class, as late arrivals are not let into the studio. First-time visitors need to check in at least 10 minutes before class begins. Additional parking is available in the lot on the SE corner of Ferris and Cedar behind the Bank of Texas. Thanks! Adam is by far the best cycling instructor I’ve ever had. Each song is very different and I found myself surprised by how quickly class went by. He does an excellent job of making it a full body work out! Full class, fast-paced, and great music! Wish there was a short intro to cycling/the bike being my first time. Meryl is awesome! So tough, but so worth it! So happy this class is back! Excellent class. Ida is a very interactive and high quality instructor. Hammock class is a workout as well as a mindfulness class. Very refreshing yoga practice! Donna was super encouraging and helpful with her explanation of the poses. Also great music playlist! Another great class with Meryl! I always feel accomplished when I leave! This class is very relaxing— a perfect activity on a Sunday. It’s set to relaxing music and consists of stretching your body, relieving tension. The inversion in the hammock are... interesting. But after the class you feel the positive effects. Awesome Full body workout with Meryl! Challenging but at a nice pace. Meryl is a hands-on great instructor!! ??????????????? ?